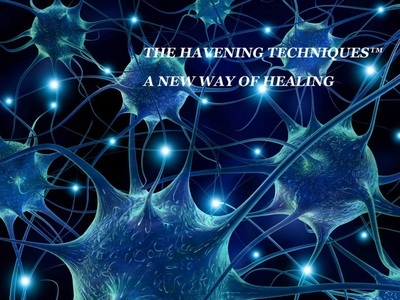 Havening Techniques® are used to treat the consequences of stressful life events or untoward experiences, and traumatic memories. These techniques are the result of research and development carried out over the past 14 years by New York Medical Practitioner and Ph D in Chemistry, Dr Ronald Ruden, with support of his brother Dr Steven Ruden. Both these doctors use Havening Techniques regularly in their practices the USA . These seemingly simple techniques can be used for fears, phobias, Post Traumatic Stress Disorders , flashbacks, anxiety or panic attacks, physical complaints and pain with great and often long lasting effect. People who have had untoward and unresolved concerns often feel they’re carrying a huge weight around with them day by day and they may feel that they’ve put their life on hold. They may suffer from physical ailments, or feel ‘stuck’ and stressed. The physical, psychological and emotional responses that are often triggered due to past traumatic events can be persistent and can really shut down a person’s capacity to live a happy and fully functional life. Havening Techniques can also help enhance your life by increasing resilience, and building confidence and self esteem.